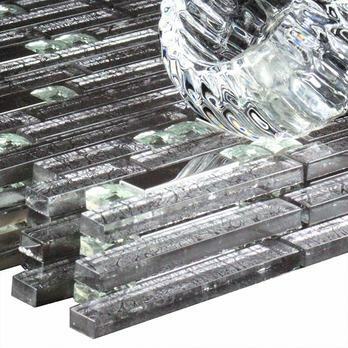 Create a contemporary style in your home with these Silver Jewelled Glass Mosaics. 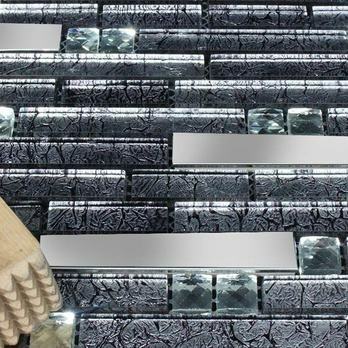 The trendy design comprises of square and rectangular silver glass mosaic pattern. The randomised style helps to create a unique appearance on walls. 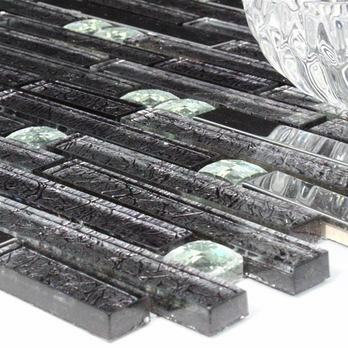 You can incorporate these elegant mosaics within modern bathroom interiors as part of a border or splash-back. 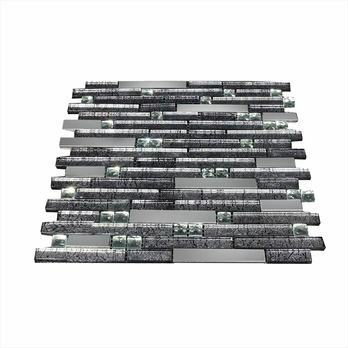 Within a shower area border surround the smooth finish of these mosaics allows for easy cleaning and maintenance. They are attached to a mesh sheet and are therefore not as difficult to use as part of a DIY tiling project as you may imagine. 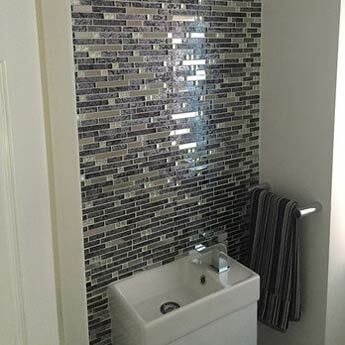 To find out more about these high quality mosaics please get in touch with Tilesporcelain today.